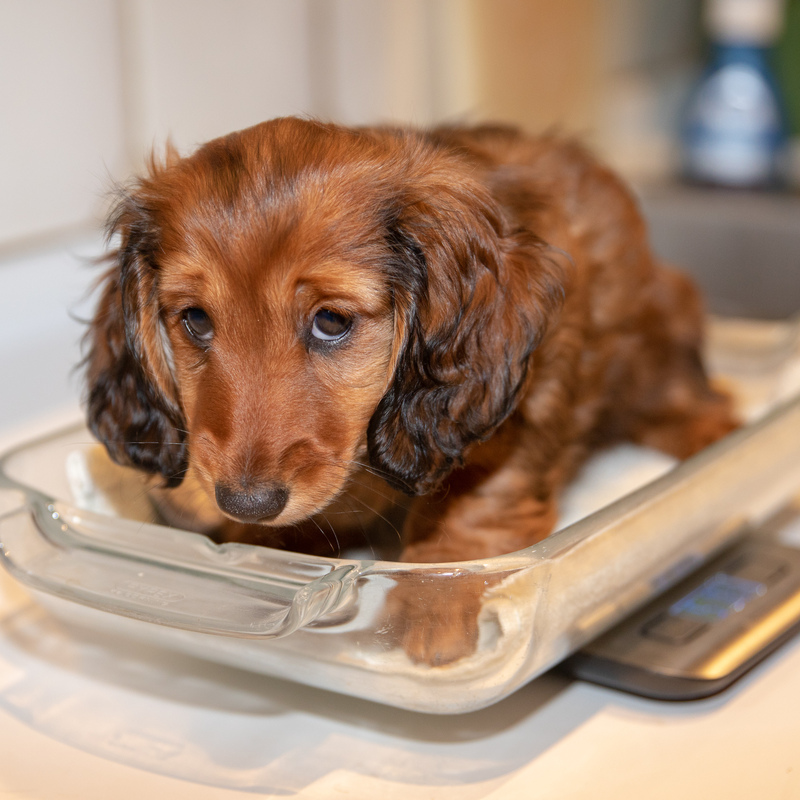 It’s been a few days since we last reported on the puppy’s weight. We actually weighted her on the the 29th (4 pounds, 15 ounces), but didn’t want to get anyone excited about an upcoming milestone. We skipped the scales yesterday. Today she weighed in at an even 5 pounds! That’s only 1/2 ounce the last two days, but we are not worried. Not only is our measuring impercise (because the item on the scale bounces around a lot! ), but it’s clear that she’s happy and healthy. We are fortunate. And, yes. We weigh her when she’s on a towel inside a roasting pan on top of the food scale. Even though it was the weekend, we didn’t have any visitors today. So, Aurora had to keep busy chewing out her grandmother. Fun! 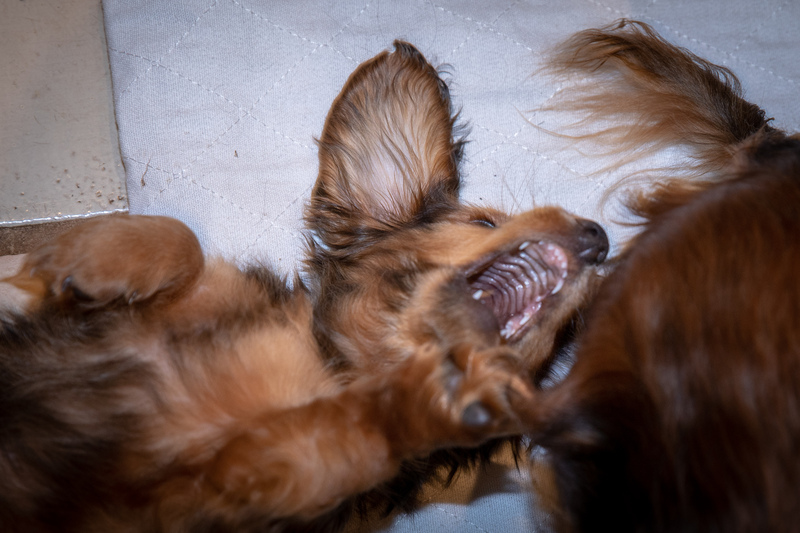 This entry was posted in dachshunds and tagged 5 pounds, Aurora, dachshunds, puppies2018, puppy weight, zenith puppies. Bookmark the permalink.